In an age where 93% of all business marketing participates in social media and even brokers at financial firms are now harnessing the power and reach of social media for research, client communication, and to attract potential clients and prospects, it seems that social media is critical to the growth of Prepaid as well. While compliance guidelines and regulations continue to worry many in the Prepaid industry, they are not alone. If you speak to any social media thought leader, they will tell you that many corporations face challenges in using social media, both externally and internally. However, it is possible to walk that fine line since social media isn't going away. And when you look at its merit and power to reach and educate clients and consumers far and wide, especially the underbanked, the more it seems like a winning situation. Here is where we look at whose IS doing social media well. Innovation and progress rarely happen in a vacuum. Sometimes it's as simple as looking at leading experts outside of your industry for inspiration and ideas or perhaps even sitting down together for a business strategy discussion. Prepaid Expo recognizes the challenges facing prepaid professionals and strives to meet those needs. 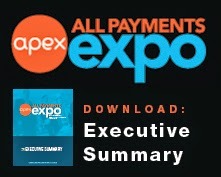 In an effort to learn from those who have survived the challenges presented by a maturing industry and inspire the seasoned prepaid executives, Prepaid Expo is looking beyond prepaid for inspiration. First, we will bring the leading experts from Airlines, Pharmaceuticals, Finance, etc., to address the Prepaid Expo audience on how they came out on top when facing similar challenges. Second, we created VIP sessions for each outside expert, giving senior executives the opportunities to get their questions answered by the experts in a private forum like setting. If you would like a chance to discuss your business needs and challenges with your peers and experts at Prepaid Expo 2012, sign up today and save the date: March 12-14, 2012. We will see you in Las Vegas! Thanks for post, great video. Where do the stats of 93% come front? Great video, thanks for sharing. Social media is an element that prepaid can not ignore, you make a strong point. Hi, Natalie: The 93% stat was addressed in the video. 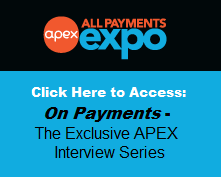 Will AmEx Change the Future for Prepaid?